This family-friendly Itupeva hotel is within 3 mi (5 km) of Cervejaria Rofer and Pista Kalango Cego. Itupeva Outlet Mall and Wet n Wild Waterpark are also within 9 mi (15 km). This family-friendly Itupeva resort is within 1 mi (2 km) of Shopping Serra Azul, Hopi Hari Theme Park, and Wet n Wild Waterpark. Itupeva Outlet Mall is 0.5 mi (0.9 km) away. This family-friendly Itupeva hotel is within 3 mi (5 km) of Cervejaria Rofer and Pista Kalango Cego. Wet n Wild Waterpark and Hopi Hari Theme Park are also within 12 mi (20 km). Situated in Itupeva, this hotel is 2.5 mi (4 km) from Cervejaria Rofer and within 6 mi (10 km) of Pista Kalango Cego and Itupeva Outlet Mall. Wet n Wild Waterpark and Hopi Hari Theme Park are also within 9 mi (15 km). How Much is a Hotel Room in Itupeva? 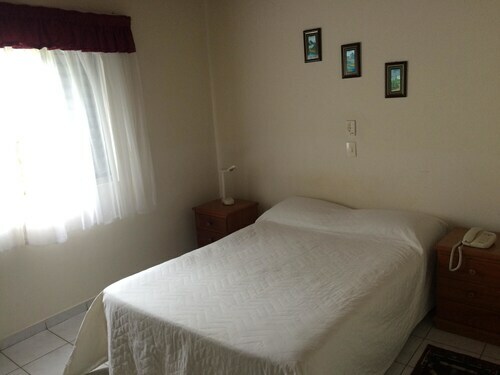 Hotels in Itupeva start at $37 per night. Prices and availability subject to change. Additional terms may apply. Within a 6-mile (10-kilometer) radius of the heart and soul of Itupeva, through Travelocity's booking page you can make a selection from a small, but friendly mix of places to rest and relax. You'll find 2 lodging options within an easy commute to Itupeva that ought to fit the bill. Travelocity-listed accommodation options found within a short distance of Itupeva include the Quality Resort And Convention Center and Intercity Vinhedo. 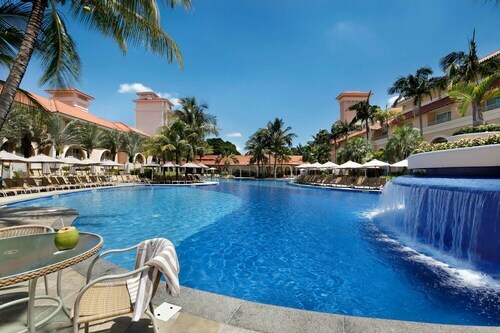 The Royal Palm Plaza Resort Campinas can be found 14 miles (23 kilometers) from the downtown area of Itupeva. On the other hand, the Vitória Hotel Convention Indaiatuba is about 9 miles (14 kilometers) away. Some other places to stay include the Vitória Hotel Concept Campinas and the Royal Palm Tower Carlos Gomes. Once you have spent time in Itupeva, try and leave enough time to discover Southeast Region's other cultural and scenic delights. Get to know Southeast Region's traditional villages, cathedrals and shrines and be sure to admire the area's beaches, rainforest, mountains and cliffs. Wise travelers in this part of Brazil adore mountain climbing. Still looking for things to do? Spend a few hours checking out Flag Square and Jundiai Botanical Gardens, in Jundiai, 11 miles (17 kilometers) to the east of Itupeva. 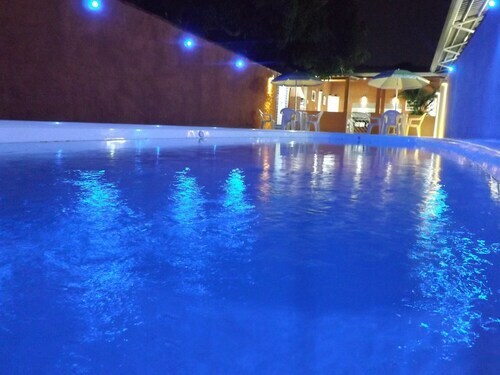 Some Jundiai hotels and accommodations include the Transamérica Classic Jundiaí and Quality Hotel Jundiai. Or, you could consider staying in Serra Negra, 45 miles (73 kilometers) northeast of Itupeva, where you have the options of the Grande Hotel Serra Negra and Pousada Della Vegas. The Cable Car and Feira de Artesanato are some of the more popular sites to experience when visiting Serra Negra. Before your Itupeva trip comes to an end, why not spend an hour or two enjoying thrills and spills with avid spectators at a community sporting fixture. Football Museum is 40 miles (61 kilometers) to the southeast of Itupeva. Book Travelocity-listed accommodation in the middle of the sporting action at the Hotel Fasano Sao Paulo or the Hotel Unique. For those who choose to fly, Viracopos - Campinas International Airport is a convenient airport for Itupeva. Just a short drive away is Hotel Golden Park Viracopos. One of the best hotels I have ever stayed and I have travelled a lot. My experience was just perfect for a weekend with my husband and my son. When we arrived at our room, the crib was already placed - I didn't ask, but they knew there was a baby traveling with me. They have a room with everything we may need to prepare the bottle of the baby and also offer fruits and daily soup to kids. The rooms are very comfortable, the pool is amazing, the restaurant have not only a great service but also a fabulous food and the children's area is something I have never seen in my life - any children will go nuts with all the infra-estructure they have and the attention of the employees with the kids and with us is fantastic. I had a fantastic massage at the SPA that is gorgeous. Definitely one of the best hotels in Brazil. If you are looking for a perfect stay in Campinas, this is the hotel.